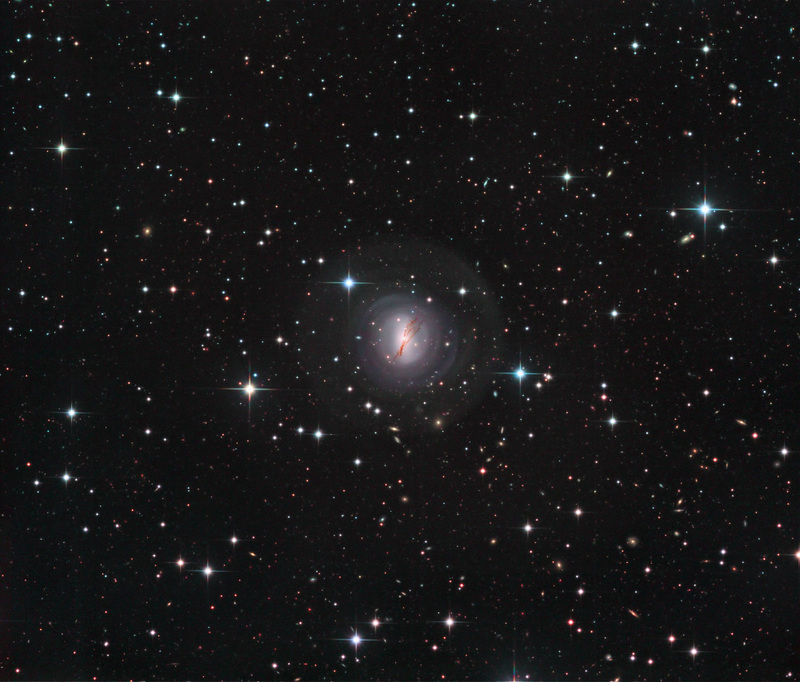 The small nebula near the top is vdB11. This supernova remnant is near vdB152. 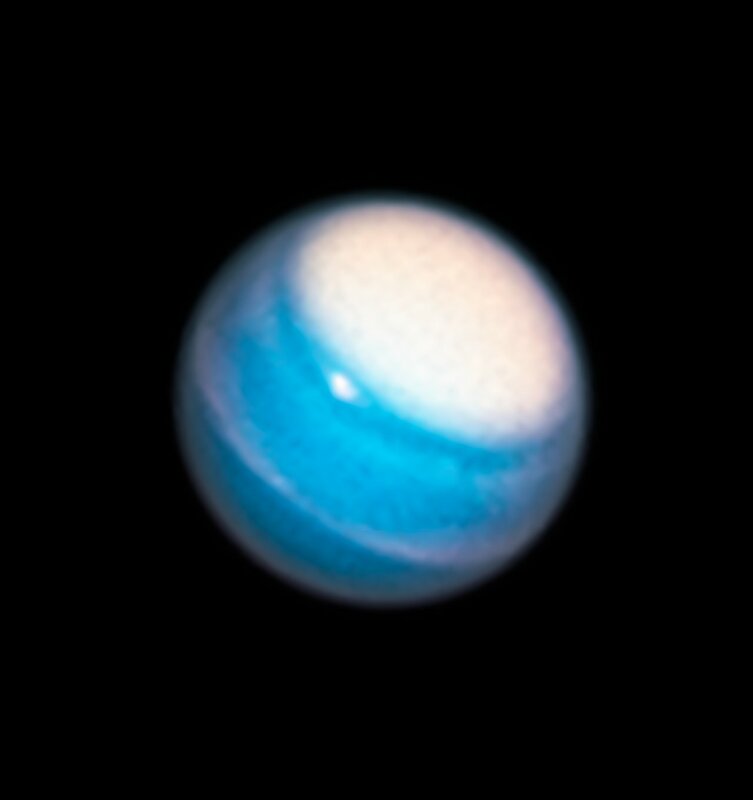 This programme has given us this new image of the planet Uranus, the seventh planet in the Solar System in order of increasing distance from the Sun. Past observations of Uranus using Hubble have led to many interesting insights about the cold ice giant; in 2006 the telescope managed to capture a shot in which the moon Ariel and its accompanying shadow were traversing the face of Uranus (opo0642b), and in 2011 Hubble was able to spot faint auroras in its atmosphere (opo1221a). 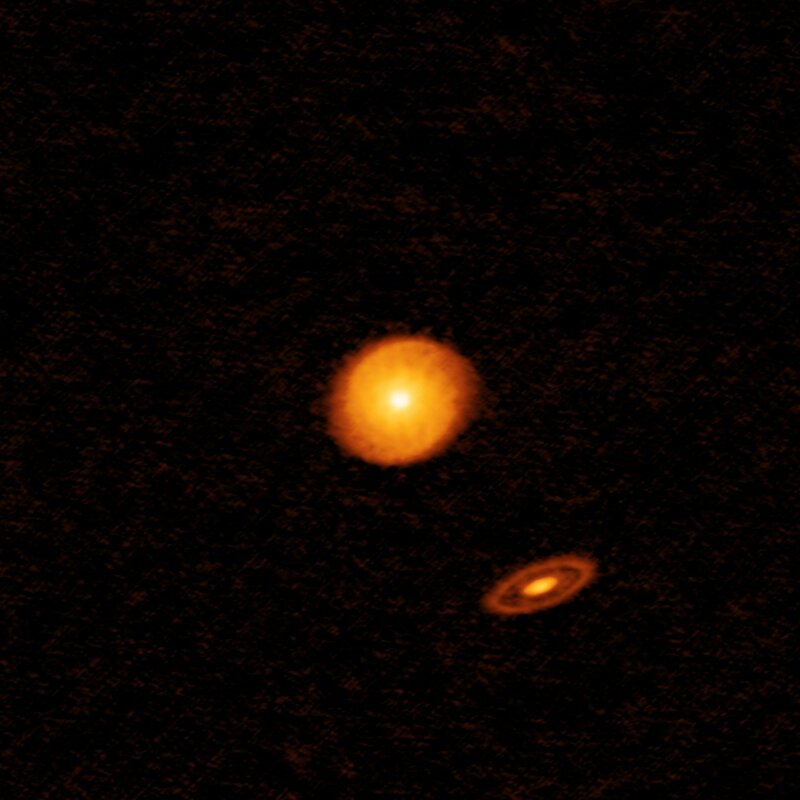 Observations made over the course of several years also allowed astronomers to study the planet’s faint ring system as its inclination changed with respect to Earth’s orbit. 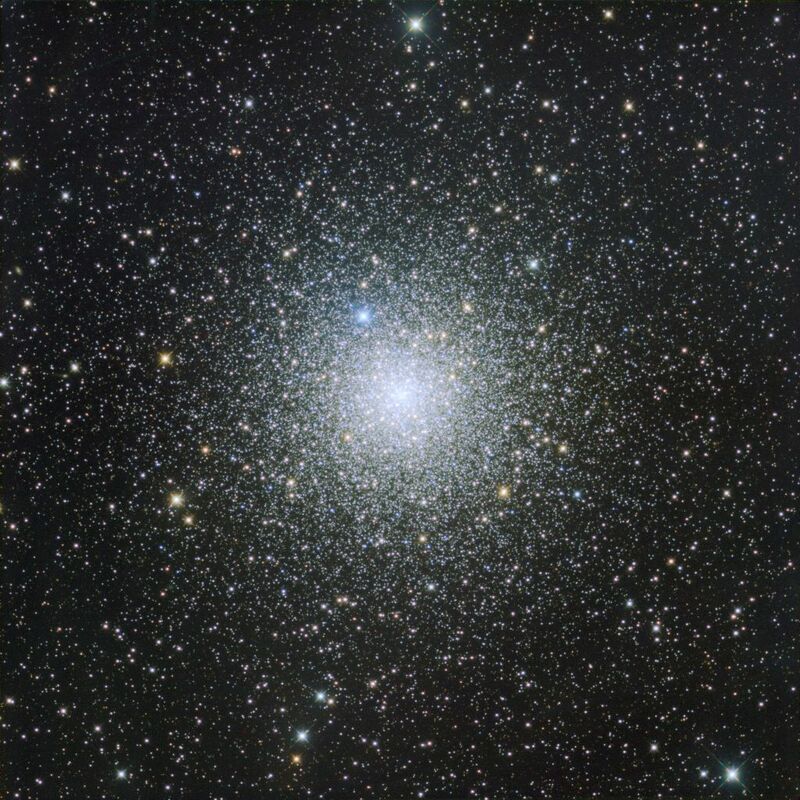 This new image, taken with Hubble’s Wide Field Camera 3 (WFC3), adds to the legacy of images already taken and will provide scientists with even more new insights into our distant neighbour. Since Pluto’s demotion from fully-fledged planet to dwarf planet, Neptune holds the title of outermost planet in the Solar System. 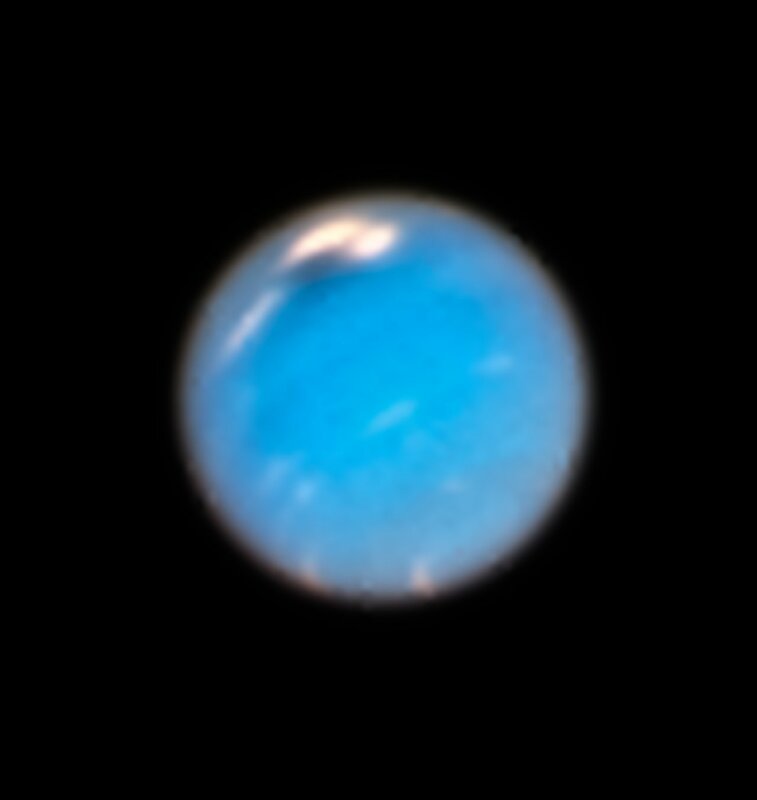 This new image of the planet was made during Hubble’s Outer Planet Atmosphere Legacy (OPAL) programme, under which it has observed the four outermost planets, including Neptune, on a yearly basis since 2014. The observations of Neptune carried out in September and November 2018 show the first evidence of a huge storm brewing, with the discovery of a new northern Great Dark Spot (visible here to the upper left of the planet’s disc, partially overlapping a large patch of white). This new dark storm is of a similar size and shape to the storm discovered in 1989 by the Voyager 2 space probe. 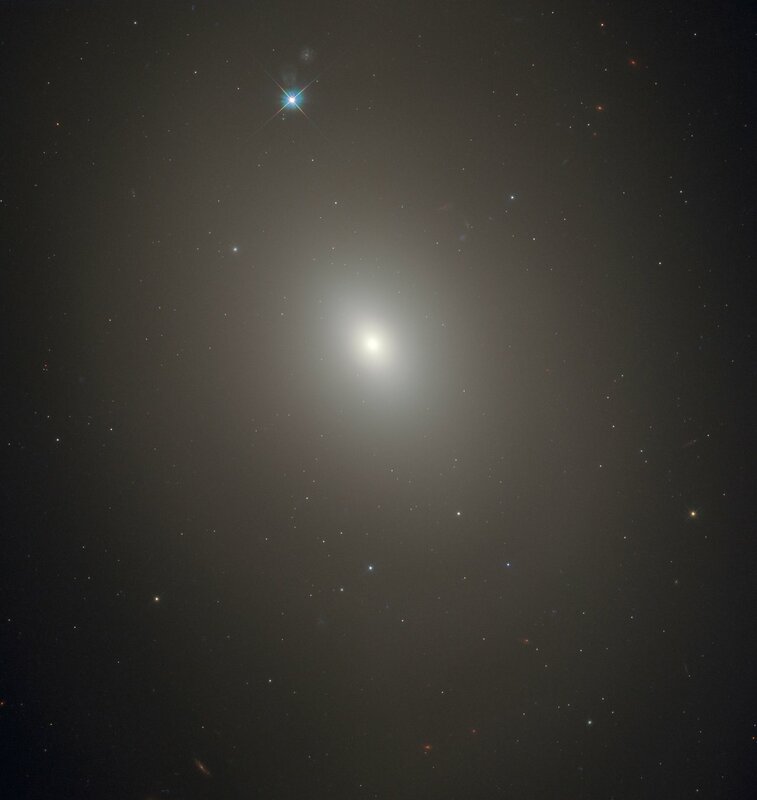 While the future evolution of the storm will be tracked through the continued yearly Hubble observations and also by ground-based telescopes, older OPAL observations from Hubble show that its appearance was preceded by increased cloud activity throughout the region. There are hints of the storm forming in images from as early as 2015. This slow origin process indicates that the storm developed deep within Neptune's atmosphere, pulling up dark material from its depths, and only became visible once the top of it reached higher altitudes. In December 2018, the comet 46P/Wirtanen passed within 11.6 million kilometres of the Earth — about 30 times the distance from the Earth to the Moon. 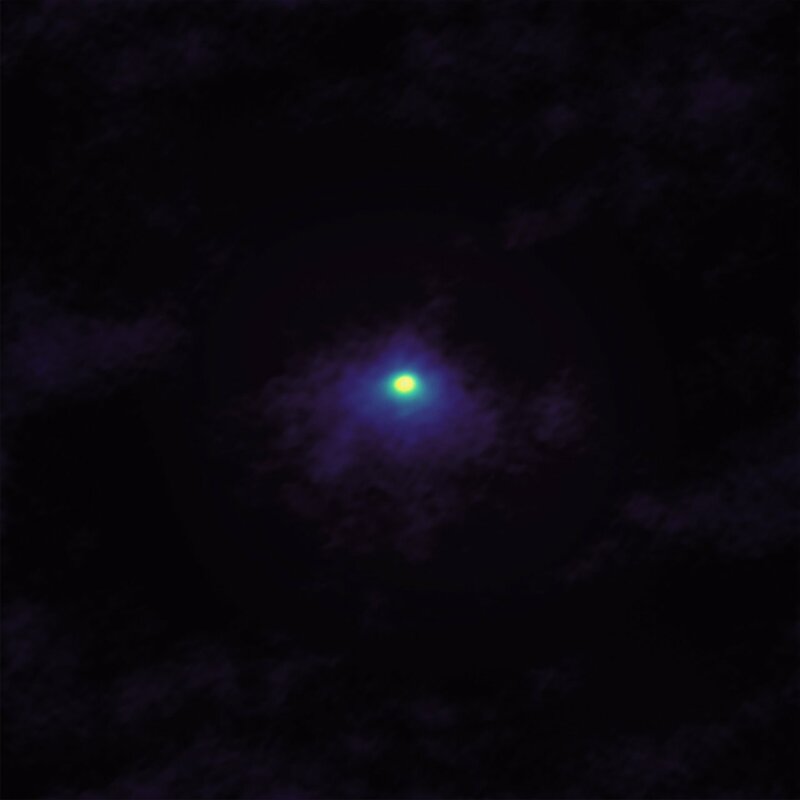 This close pass gave astronomers the chance to observe the comet in detail, and ALMA (the Atacama Large Millimeter/submillimeter Array) took full advantage. ALMA’s speciality is observing the cooler components of the Universe, such as gas and dust, and the array often focuses on specific molecules. This image is no exception, as it highlights one key thing: the hydrogen cyanide gas in the coma around the comet’s nucleus.